Arsenal’s 2-1 win over Premier League strugglers Huddersfield Town on Saturday was far from a scintillating performance. The Gunners lacked attacking intent and played in a very reserved and reactive manner, which allowed the Terriers to take the game to them. Unai Emery will surely have some issues with the display his side produced, but the Spanish coach may also have some concerns over the way a few of his players were treated by a section of the north London club’s travelling support. Scorer of the opening goal for Arsenal, Alex Iwobi, was jeered off the pitch by some of the Arsenal fans when he was substituted in the 88th minute. Whilst the 22-year-old had had a mixed bag of a game, his contribution had been generally positive and his goal ultimately proved vital. Versatile 21-year-old Ainsley Maitland-Niles also came in for criticism after the match on social media. 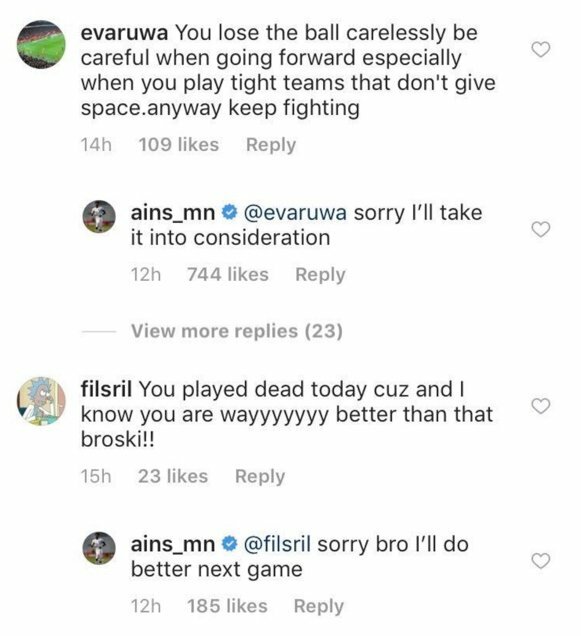 The England under-21 international took to Instagram to respond to some of these comments. This was a bold and laudable step for the youngster to take, but the fact he felt compelled to is troubling. 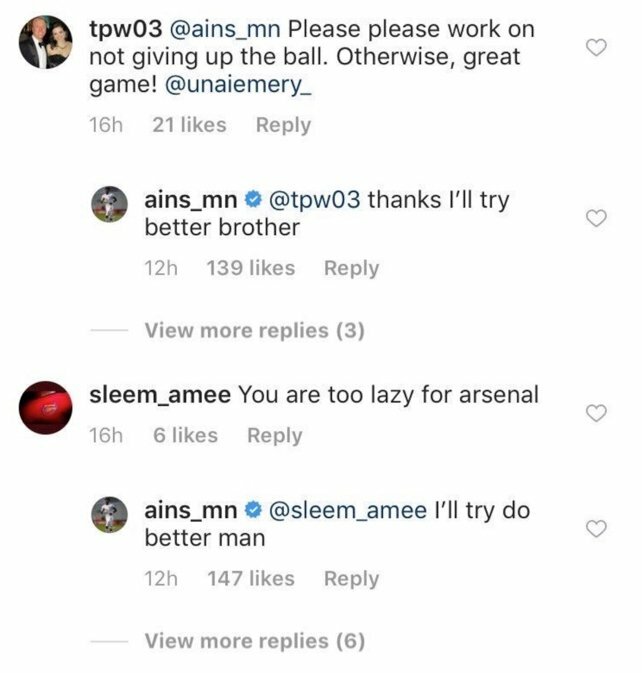 It seems strange that some Arsenal fans would deal out such criticism and abuse to the likes of Iwobi and Maitland-Niles. As graduates of the club’s academy, who have overcome countless barriers and challenges to sustain a place in the first team reckoning, it would be easy to assume that they’d be afforded extra patience and affection – as ‘one of their own’ – yet this isn’t the case. What’s more, neither player’s performance on Saturday was deserving of such scorn. Iwobi is tasked with a very difficult role by Emery. At times it seems as though the burden of linking the Gunners’ defensive unit with their attacking contingent rests entirely upon the 21-cap Nigeria international’s shoulders. Maitland-Niles, too, has a challenging task. The youngster is yet to nail down his own position, and as such has been used in the middle of the park, on the wing, and as an auxiliary full-back on both sides of the pitch this season. Against Huddersfield he was filling in for the injured right-back Hector Bellerin – big shoes to fill. Both Iwobi and Maitland-Niles – and Arsenal’s other youngsters who have had to compete in trying circumstances this season, such as Matteo Guendouzi and Eddie Nketiah – should be commended for how well they’ve done generally, rather than attacked for the little slip-ups they’ve had. Of course, these youngsters have made some mistakes. Iwobi was guilty of a horrendous error early on in a recent match against Manchester City which resulted in Arsenal conceding a goal. Fan frustration with such instances is wholly understandable, though it should be isolated to such moments, and not become something that the player seemingly can’t escape. Iwobi and Maitland-Niles aren’t the first to endure such treatment from Arsenal fans (which isn’t to suggest that the same thing doesn’t happen at other clubs either; it certainly does). Aaron Ramsey – who this week confirmed his impending exit from the Emirates Stadium, which sparked an outpouring of grief from many Arsenal fans – was similarly doubted and vilified in an early stage of his development. The Welshman worked through that time and now leaves the club a legend and a hero of two FA Cup finals. Individuals amongst Arsenal’s current crop of youngsters could eventually rise to similar heights, however, ongoing criticism from the fans will not aid them in this journey. The treatment received by Iwobi and Maitland-Niles on Saturday – both in the stadium and online – will not help them improve. Instead, it can serve only to further knock their confidence. Now, more than ever, Arsenal’s young stars on the frontline need the support and faith of the fanbase behind them. With that they stand the greatest chance of succeeding at Arsenal. Without giving it, the fans run the risk of damaging the club’s future by destroying the confidence of these academy graduates, who should be treated as symbols of Arsenal’s identity and DNA.